Welcoming overnight in france. 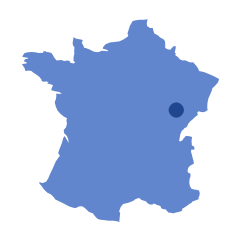 Our farmhouse is in Corravillers, a small village in the Haute-Saône on the edge of the area known as the thousand ponds in the southern Vosges. We are delighted to welcome you. 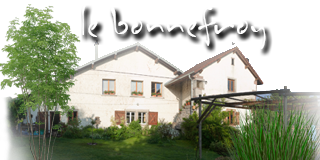 Le Bonnefroy is a perfect holiday destination ; read a book on one of the terraces, swim a little in our new swimmingpool or go for a walk or go for a ride. We invite you to explore our web site. If you require any more information or want to make a reservation, don’t hesitate to contact us. This is us : Martin and Anja van Kemenade. For more information and / or reservation please contact us.